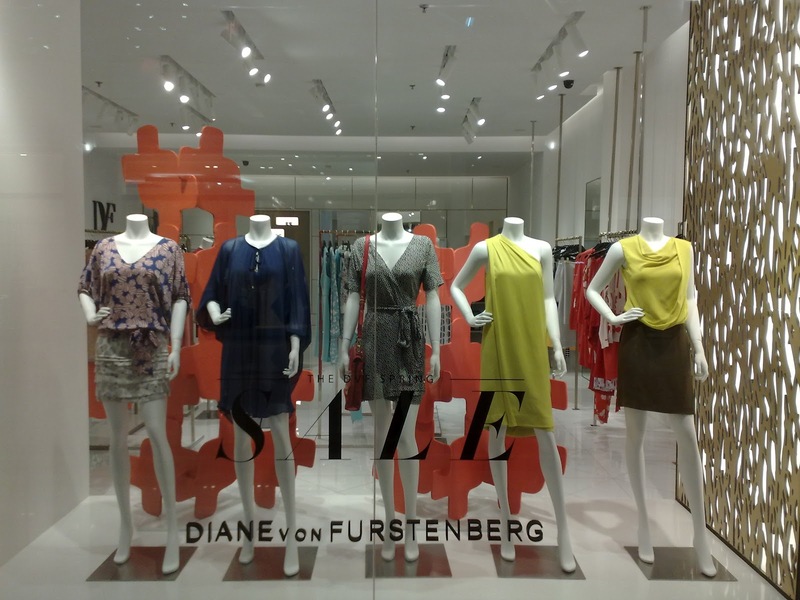 Diane von Furstenberg at Plaza Senayan had moved to a new, more spacious location last two months. However, the window display quality was decreasing. There were only mannequins standing in the window without any decorations or properties. 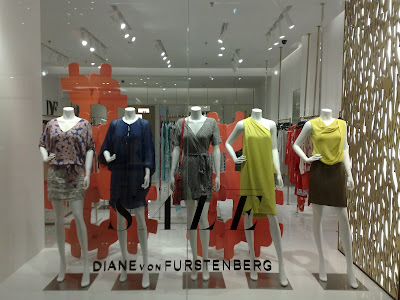 Just last Sunday when I passed this boutique, I saw a little bit improvement. The VM team added properties in the form of giant orange colored puzzle. A simple background but very good to attract people.